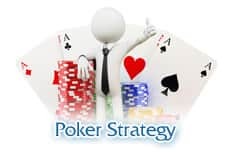 Top iPoker Network Sites - Best Online iPoker Skins 2019! The iPoker Network was officially launched in 2004 by Playtech: the pre-existing gaming software design firm. Today, it ranks as one of the absolute largest networks of poker players on the Internet, but these players are spread out over a number of different poker rooms (also known as skins). Each of the iPoker Network sites has its own flavor, not to mention special features and opportunities, and there are some that are definitely a step ahead of the others. Here is our exclusive listing of the best iPoker Network skins, where you can sign up and begin playing right now. Get into some great action on the iPoker Network by signing up to one of our sites today! It only takes a minute and you can be playing at the tables in no time. Our research shows that for April 2019, Titan Poker is the highest rated iPoker network site. When it comes to poker sites, the network is nearly everything. This single trait determines the reliability of the software and the total player traffic. In the case of the iPoker Network skins, peak traffic figures sit at well over 6,000 cash players, making it one of the biggest poker networks in the world, only behind PokerStars and PartyPoker in this category. Much of this traffic is in Europe, but the fact is that they have a loyal following all around the world. No matter what your schedule looks like, you should never have a problem playing the most popular games on iPoker Network sites. If you tend to play the highest limit games, though, you may have a short wait outside of the peak operating hours. It is also worth mentioning that iPoker Network skins are almost always considered to be trustworthy and fair. Technical Systems Testing (better known as TST) is the auditing company that is responsible for regularly testing their software’s real number generator (RNG). This is in addition to the in-house testing that is aimed at detecting and preventing collusion between players. This company is hardly new to the business. Though the iPoker Network was officially launched in 2004, the Playtech core of the business dates all the way back to the early days of online poker in 1999. In an industry where reputation is everything, the iPoker Network has a history that is leaps and bounds ahead of many of the competitors that have come and gone since its launch. Time and again, the best iPoker Network sites have shown that they are capable of both meeting and exceeding the expectations of their loyal customers. These are not just the most popular sites on the iPoker Network; they are also our most highly recommended. A complete evaluation of each site is completed as part of our review process and it allows us to confidently present these sites as the best on the network. Check out any of the above iPoker Network skins where you can start playing with no commitment today. What Makes The iPoker Network So Great? One of the reasons players flock to the iPoker Network is the security. The iPoker Network operates a sophisticated system that monitors players to keep games fair and prevents unscrupulous playing tactics. 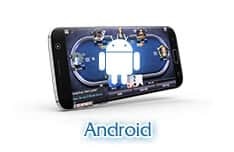 Another reason for the incredible traffic on the iPoker Network is the bug-free, easy to use software and exciting environment provided by PlayTech. The longevity of iPoker Network and even more prominently its PlayTech software creates a strong and secure environment for players so they have a loyal following. Do I Need Special Software for the iPoker Network? Yes, you will need to download the PlayTech software that the iPoker Network uses. 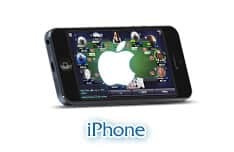 It is very secure software that is easy to use, but the iPoker Network does not have instant play or online platforms for Mac users. The iPoker Network software also gives you the complete poker playing experience with excellent graphics, multiple table options and easy access to all of your account controls. Will I Find a Lot of Player Traffic on the iPoker Network? The traffic is just one of the amazing benefits of a large, popular poker network. Networks draw players from several sites, and you only have to join once to enjoy any of the member sites connected to them. That makes it more exciting and provides far greater options for you as a player. The iPoker Network has a tremendous amount of traffic even as poker networks go, because it is one of the most respected and trusted online poker networks. Players of all levels of playing experience come from all around to enjoy the poker sites on the iPoker Network. The iPoker Network’s high level of security and player protection systems makes it a top choice for players from all over the world. Because of the intense volume of traffic on the iPoker Network, you will never be at a loss for a great poker experience no matter when you want to play. Does it Accept US Players? No, the iPoker Network does not accept US Players at this time. Due to US regulations and gaming bans, US players will have to find other options for playing poker online. Players from the US can check out our US online poker sites page for information to get started playing poker online. Get a $2000 Bonus Plus $20 FREE on Your First Deposit! Award Winning Customer Service Available 24 Hours a Day.